Robots are an integral part of our lives today. They’re embedded in our phones, computers, streaming services--you name it. And while it’s fun and fantastical to think of Siri plotting a takeover, the truth is that technology benefits us in countless ways. The STEM industry has recently launched a whole host of initiatives to get youth involved in math and sciences. Computer engineering and robotics especially can always use bright, passionate minds. There are plenty of toys out there to help encourage and foster this interest in little ones that show a knack and/or an enthusiasm for the field. 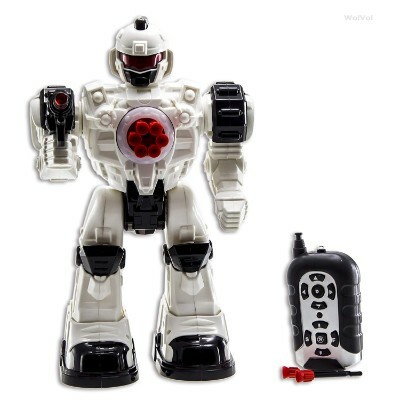 Below are 10 of the most demonstrably high-quality and beloved robotics toys for kids. Gear up and get ready to geek out! 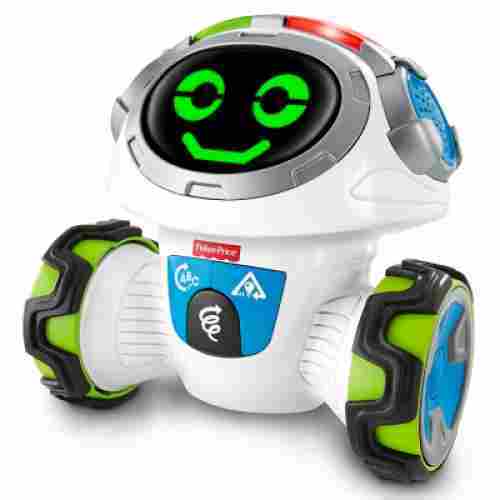 Robots are wondeful for your child to explore their STEM & creativity skills. We checked our top ten list making sure each product was still available and had the highest rating. We also updated this guide to our new layout. The LEGO Mindstorm Kit comes with everything you and your little one need to build and program your own fully functioning robot! 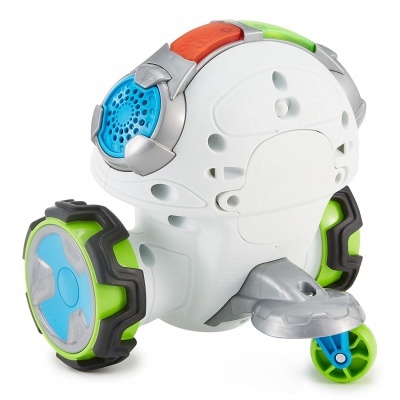 Teach your robot friend to walk, talk, play games, and complete basic tasks. 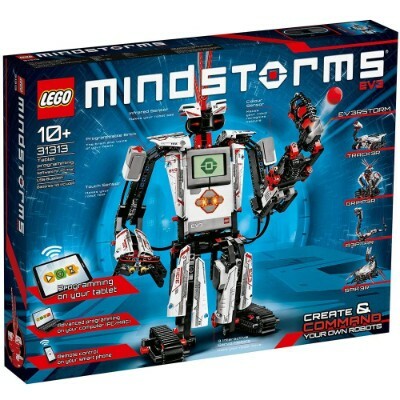 This LEGO set promotes fine-motor skills, problem-solving skills, creative thinking, cause and effect, and so much more. 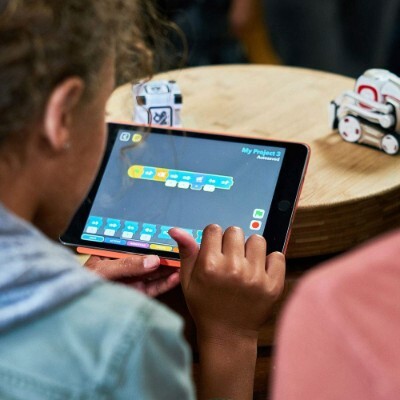 Kids not only get to play with a robot, but actually learn how to build and program one. 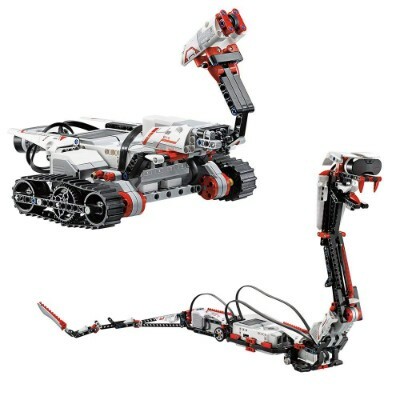 This set includes 601 pieces, featuring an intelligent EV3 Brick, three servo motors, and color/touch/IR sensors. When assembled, you’ll be able to hook up your buddy to your smart device, download the free EV3 programming app, and control your robot from your phone or tablet. It’s a wonderful tech toy to teach your family about the wonders of science, all while having fun. The main robot design (SPIK3R) stands at over 16 inches high, 14 inches long and 15 inches wide, so make some room for this guy on your shelf! Robots know no age, which is why we’ve included one for the younger crowd. For the kids who are too young to build a robot, but still love the idea of them, Fisher-Price created the Think & Learn Teach ‘N Tag Movi. Movi teaches your kids things like their ABCs all while getting them to be active and interact with it. While they’re learning their letters, they’ll also be yelling and improving their verbal skills as they repeat what Movi has to say! 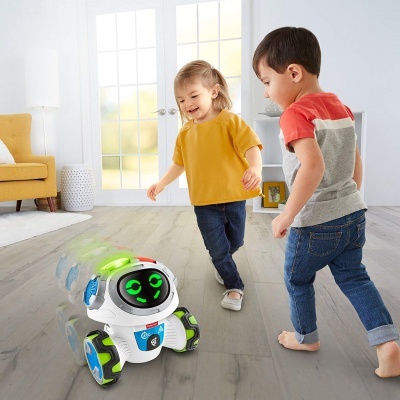 This cute robot is ready to get your toddler up and moving around the house, with three different ways to play. This small robot is like the real-life version of Wall-E. It’s tiny, adorable, and smart. Cosmo has earned a spot on our list for having a higher IQ than most robots, and we’re going to tell you why! He’s super realistic in a humanlike sense, and with over 100 different emotions, he’s sure to win over the hearts of whichever child is playing with him.
. Over time he even evolves to become more humanlike and reactive to the humans around him, a true sign of a great AI! In the Force Awakens, we were introduced to a lovable character who is as enigmatic as R2D2 yet a fiercely loyal companion. 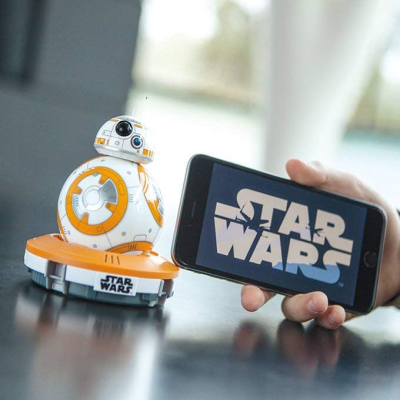 Now, kids can have their very own version of this loyal droid, the Star Wars BB-8 Droid. It may be a fraction of the size of the original BB-8 at less than 9 inches but it sure can pack a punch with its unique programming. You don’t need a separate control unit for this. This BB-8 Droid is a robot from a Star Wars dream come true. We wished the BB-8 were at least 3 feet tall and that would really make our day. Nevertheless, it’s one of those robot toys that are sure to be loved by everyone not just by kids. 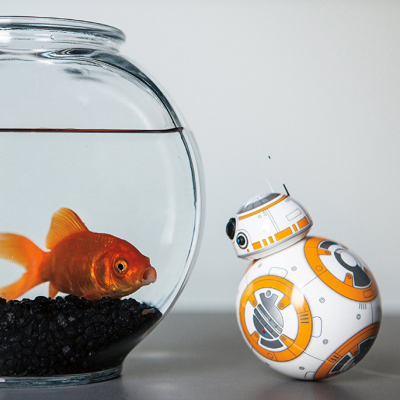 As long as you have either an iOS or an Android device, you should be able to control BB-8. 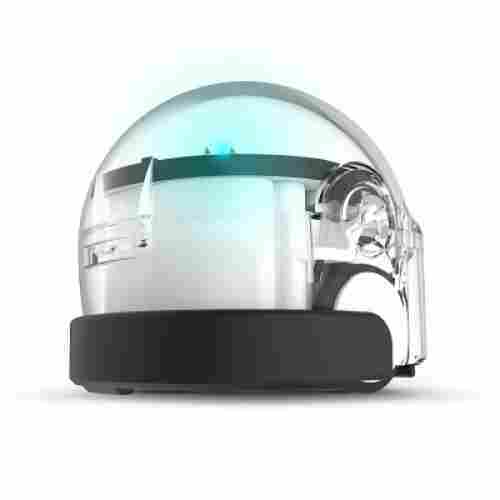 It features virtual holographic videos that shoot from its spectral camera sensors and a fully independent and highly adaptive personality to suit your kid’s own unique characteristics. With fully-functioning Bluetooth voice commands, all it takes it “Okay BB-8” to get its attention and follow your requests. Fancy seeing more products like this? Then check out our post on the best lego star war sets here. It’s like Robocop come to life! 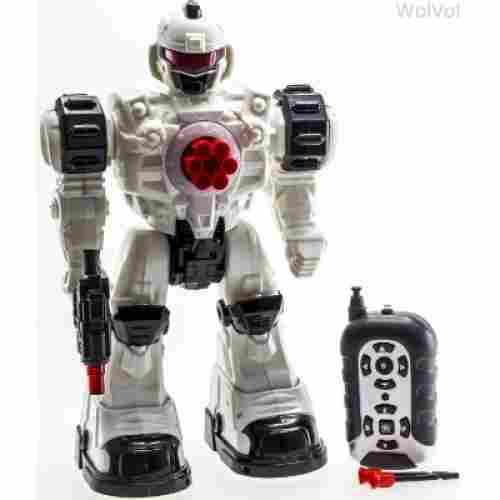 The WolVol Police robot is ready to serve up justice and go after all the bad guys, and he’s also ready to be a gift for your justice-loving boy or girl. This robot has a full-range motion and can perform up to ten different tasks with the remote control that comes with it, including walking, making 360 degree turns, dancing, and firing the “missiles” that are hidden in its chest cavity. Let your child’s imagination run wild and give them something a little more exciting than a figurine or a doll...give them a police robot! The unique look and style of this robot are what caught our attention. 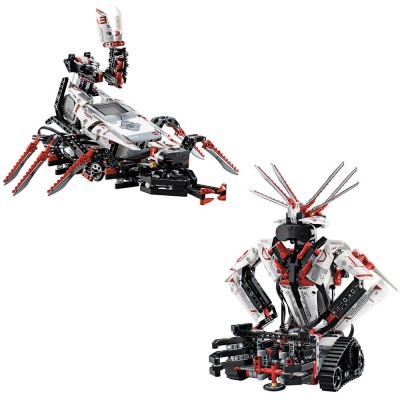 It has the futuristic look of a robot, while still maintaining a police force-type aura, and that’s something any kid would love to add to their playroom. 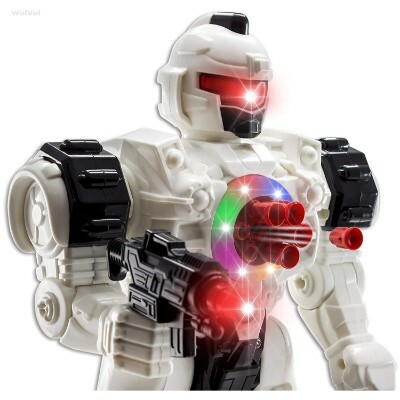 While it does all of that, you’ll hear authentic robot-like sounds to go with the flashy lights that really make this robot come alive to serve justice to his no-good doing enemies. WolVol’s remote control robot is super cool not simply as far as looks, but as far as actions go. It gives kids a real-life feel for how much a robot can actually do, and turns playtime into a fun sci-fi movie for them! Kids will always remember their first robot, especially if it’s one they’ve put together themselves. 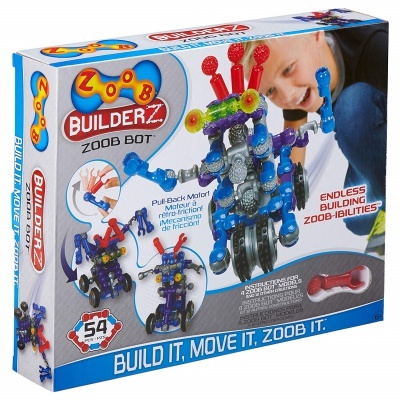 The ZOOB Bot is one of those toys that has the look down pat, almost like it rolled straight out of a Transformers movie! The pieces simply snap and fit together, which means there’s no need for complicated tools or a lengthy instruction manual. Just piece, snap, turn on, and watch the magic! The versatility of the toy can only be limited by the imagination and creativity of the child playing with it. As such, it is the perfect tool for encouraging problem solving and exploration among kids. This tiny robot packs a punch though, not only was it the Honor Winner in the NAPPA Children’s Competition, but it also comes complete with a motor, built-in batteries for eyes, and four wheels to propel it across any competition floor. This is one crab that your kids don’t need to be afraid of. 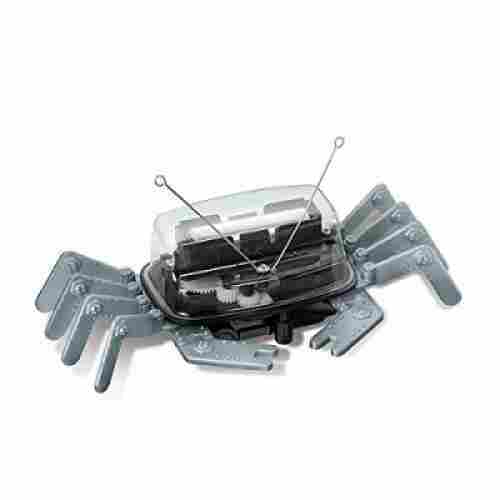 The 4M Table Top robot is a mechanical crab that scurries, flexes, and waves! This provides fun for the whole family, or simply for your kids and their robot-inclined friends. 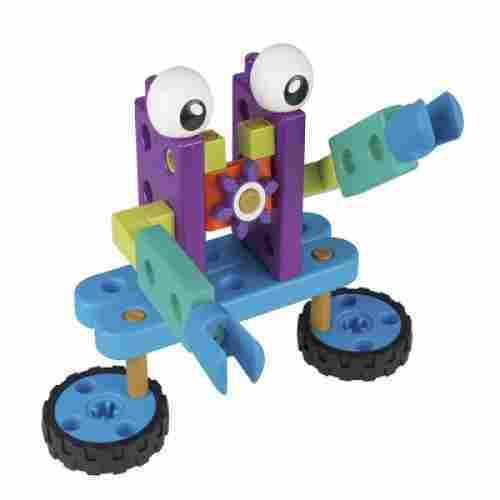 This cute little crab will teach kids the importance of robotics as they piece it together to create this friendly crustacean. 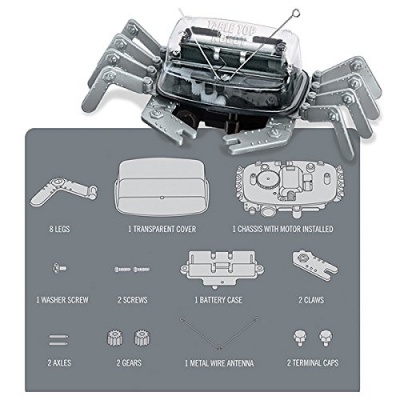 Construct the robotic crab and watch it come to life on your dining room table, as it performs acrobatics as only a crab can, and runs from obstructions in its path. 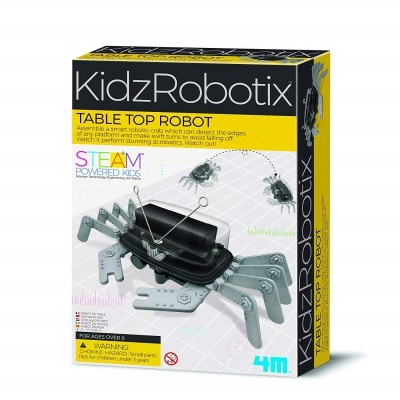 This simple robot is sure to entertain with its tricks and will be a blast for your kids to put together. Why go to the beach and deal with real crabs, when you can construct a friendly one in your backyard? With over-sized, vibrant building pieces, small hands can manage the mechanics, and growing minds will be attracted to and stimulated by the brightness. 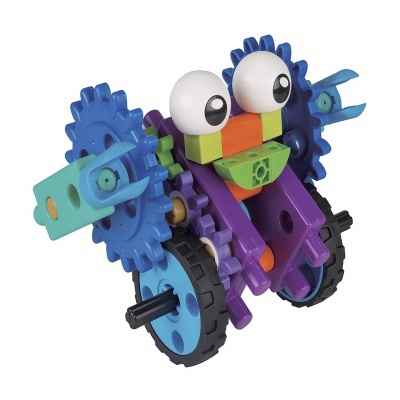 The robots are colorful and feature moving parts, gears, and wheels. Kids will learn in a hands-on manner about simple machines and gear trains. Kids can work on both reading and engineering with this set. The fun, colorful story and big, bright pieces all work together to create an adventure that will stimulate little minds while also developing motor skills, hand-eye coordination, and dexterity. Made for ages 3 and up, this kit features 53 building pieces, 10 models, and a 32-page illustrated adventure that also serves as a guide book. 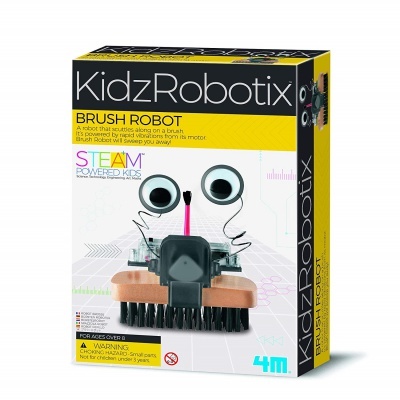 Teach kids the art of brushing up their messes with this robot! 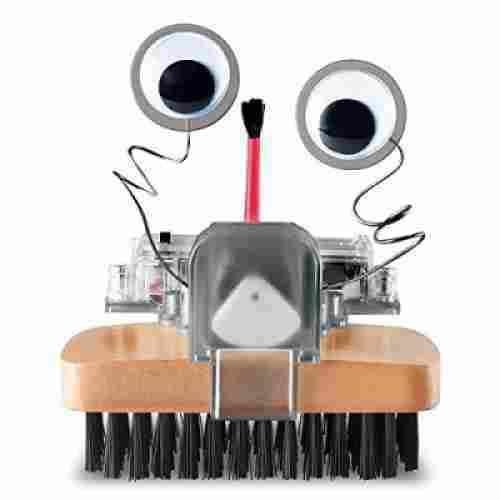 Cleaning up is never fun...that is, unless you have a robot to help you out. Assembling is fairly easy with some help for the younger age groups, and once this robot is pieced together, it becomes a floor and table brushing machine (literally!). 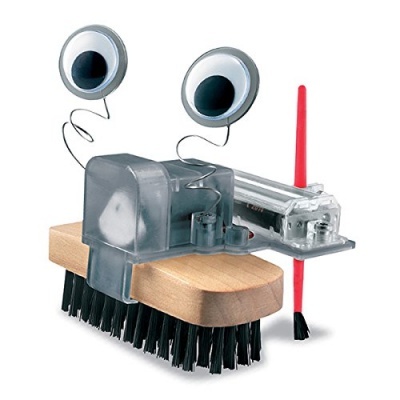 If your kids were ever looking for a way to make clean up a snap, this robot does the trick. It’s pretty hard to believe that a robot no bigger than your thumb could have the same advanced technology that operates on your computer, but it’s true! 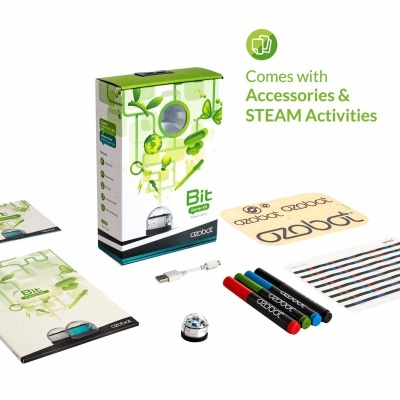 The Ozobot 2.0 functions similarly to that of a computer with commands that set it apart from any other tiny bots; some simple color coding on either a piece of paper or an iPad/tablet are all this robot needs to follow your instructions. It seems simple, but with the use of infrared technology this robot can “read” and comprehend commands in a way that’s so human, it’s even got us mystified. This is the ideal robot for those who are looking to buy an educational robot that encourages learning about programming. Robots are an important part of today’s highly industrialized societies. In fact, many companies in today’s manufacturing industries such as those in the automotive and aerospace sector rely on robots to perform a variety of functions that are highly repetitive because they can be programmed to perform such operations several millions of times without tiring. Compared to human workers who may be limited by their ability to focus and concentrate on the task at hand, robots can be programmed with absolute efficiency and accuracy so that errors can be effectively reduced to near zero levels. More importantly, robots don’t get sick nor will ever complain of too much humidity or the boss making unexpected demands. Once programmed, robots can keep on doing things they have been programmed to perform indefinitely. 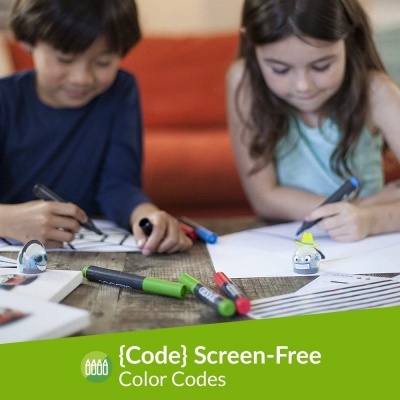 Children can greatly benefit from these robot toys. For example, young children who are exposed to robot toys that play music, lights, and sound effects can have their sensory skills enhanced. Playing lights together with music or nursery rhymes can help young children expand their vocabulary and develop their language and communication skills at the same time. Pushing on the different interactive buttons can also help young children develop their sense of proprioception and spatial intelligence. This also helps enhance the young child’s sensorimotor skills, visual motor coordination, gross-motor, and fine-motor skills. 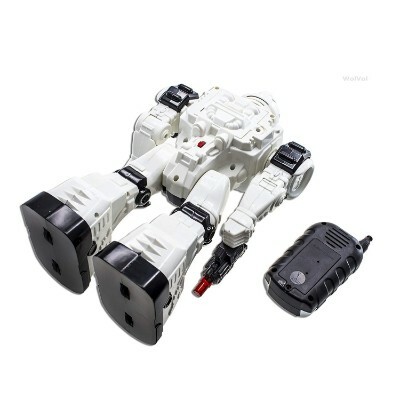 Again, everything actually depends on the features that are built into the robot toy. 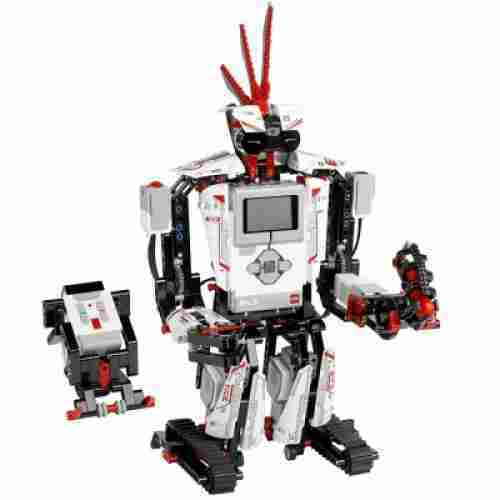 There are also robot-building kits much like LEGO building and construction play sets. 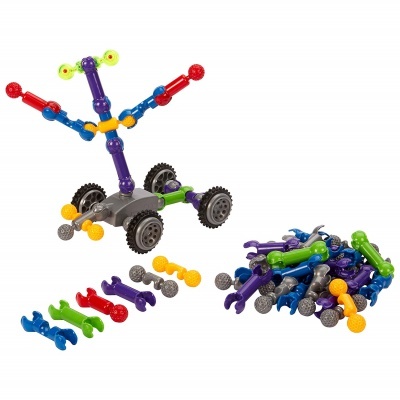 These robot kits allow children to experiment with different configurations of building blocks. These allow children to explore the different ways in which the blocks or components can be assembled to create something new. This lays the foundation for counterfactual reasoning as well as for divergent problem-solving. Compared to convergent problem-solving where a particular problem only warrants a single solution, children operating on the principle of divergent thinking are able to think well outside the box. This simply means that given any scenario or problem, they can think of 1,001 different ways to solve the problem. This is particularly helpful in enhancing children’s ability to think logically and critically. It also lays the foundation for their predictive abilities. With divergent thinking, children are able to make more accurate predictions of what might happen should they choose a particular course of action instead of another one. This can also lay the bases for the development and enhancement of their use of the scientific process. Robotic toys that allow children to perform a certain task can also help children understand the basic processes involved in these tasks. For example, a robotic arm that can be programmed to grasp and hold objects can teach children about the principles of hydraulics as the necessary element for moving different parts and allowing them to act in unison. This also helps teach children about how the human hand can actually perform the same task performed by the robotic arm. There are also robot toys that can represent the child’s world in a safer, non-threatening way. This is especially helpful among toddlers and preschoolers who may still have a very limited understanding of how the real world operates. When miniature robot toys for toddlers are used, they are often played as a representation of their own world. Of course, robot toys can be excellent instruments or tools of make-believe or pretend play. This can help in the enhancement of children’s imaginative and creative thinking while at the same time help facilitate the development of social skills. More important is the value of such playthings in the enhancement of kids’ sense of self-confidence which can then lead to the formation of a healthier self-concept and sense of self-worth. Kids robots are one of the most popular gifts for the holiday season as well as during children’s birthdays and special occasions. However, it is very important to choose only those robots that are developmentally appropriate for the age group of your child so you can feel safe and confident that your kid’s optimum growth and development is ensured to the fullest. It is for this reason that we are optimistic you will find our list of the top 10 robot toys for kids to be highly invaluable. Kids robots are one of the most popular gifts for the holiday season as well as during children’s birthdays and special occasions. However, it is very important to choose only those robots that are developmentally appropriate for the age group of your child so you can feel safe and confident that your kid’s optimum growth and development is ensured to the fullest. It is for this reason that we are optimistic you will find our list of the top 10 robot toys for kids to be highly invaluable. 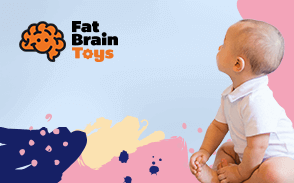 When searching for a toy for your child, it’s perfectly normal to want it to be the perfect blend of educational and enjoyable. These robots are the prime examples of such as a toy. All children are different. They have different likes and dislikes, as well as strengths and weaknesses. 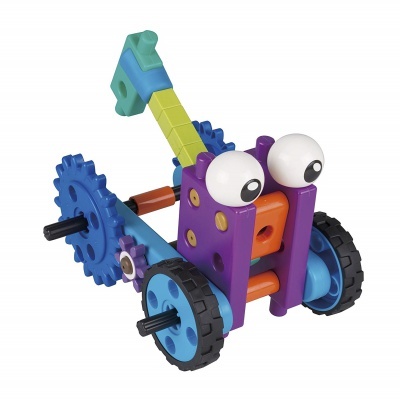 Robot toy kits are a perfect way to see if your child as any desire for construction, electronic, locomotive, or anything to do with engineering. If they do, these toys can continue to grow with your child. If they don’t, then they can move onto other toys. Though a complex kit will keep an older child busy, it won’t be the same for a younger child. However, all kits should be complex enough to ensure that your child does not get bored of it easily. They should be toys that garner their attention and don’t let go. Robots are known to encourage imaginative play and foster creativity. Your child can make up wild stories in their head while playing with their robots. This will keep them engaged and entertained while stimulating their brains. Robots, even those for kids, can be pricey. The key is to have a budget and find a toy that suits your child’s need in said budget. There are various kits in the market at drastically different price points. 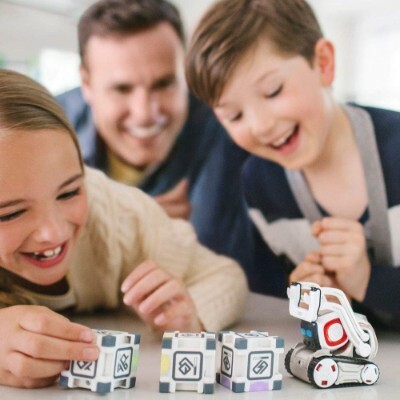 By knowing your child’s interests, as well as the area in which you want to encourage your child, you’ll know the perfect robot to get your child. q: Where can I buy these robots toys for my kids? q: Why aren’t all of these remote-controlled? Though most of these are able to be controlled by a remote, some of them are not. The reason behind this is simply because that is how the manufacturer made them. Some of these are meant for children of a younger age who would not be able to use a remote control. 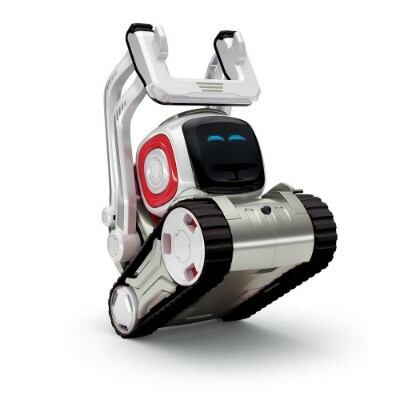 q: Can all of these robots be used on carpeted floors? Some of these run fantastically on carpeted floors. However, some of them prefer smoother finishes such as hardwood or laminate floors. To make sure which types of floor a robot suits, reviews and product descriptions of the individual products are the best places to look. q: Do all the robots come with phone applications? Not all of the robots on our list have corresponding applications. However, we’ve tried to point out which robots have applications under each product heading. q: Are these robots waterproof? Some of these robots are waterproof, like the Sphero Star Wars BB-8 drone. Others are not so waterproof. The way to find this out is to read product reviews and other questions/answers to find the answer. q: Are these robot toys educational? In traditional educational senses, no. However, these robots are excellent at teaching your children coding, programming, building, imaginative play, and brain stimulation. Hence, making them a newer, more fun way of learning.